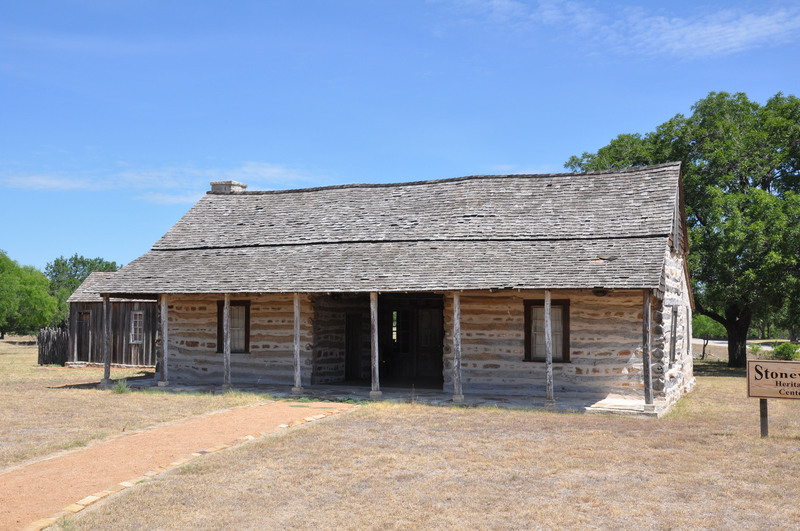 The log cabin is a typical hill country first house. It is composed of post oak logs (which are straighter than live oak logs), chinking (rocks and limestone mortar), wood shingles, and a beautiful limestone fireplace. Kay's great-grandfather, Heinrich Lindig, his wife, Johanna, and a one-year-old daughter, Mina, immigrated to this country in 1868. After a three-month trip in steerage on a ship, they landed in Galveston and then took another smaller boat to Indianola. Like many other German immigrants, they then undertook the arduous trip by ox-cart to Fredericksburg. They were met by his uncle, Conrad Bock, who needed help with his land in the Cave Creek area. Two more Lindig children were born in Cave Creek. After saving enough money, Kay's great-grandfather bought 489 acres of land in Stonewall in 1873 on RR 1623 and built a one-room log cabin. In this log cabin in 1874, Kay's grandmother, Emilie Lindig, was born. In approximately 1878, Kay's great-grandfather built a larger dog-run style cabin with two rooms and two attic rooms above. In this 11 x 11-foot cabin Heinrich and Johanna and their four children lived for 5 years until their larger house was built. 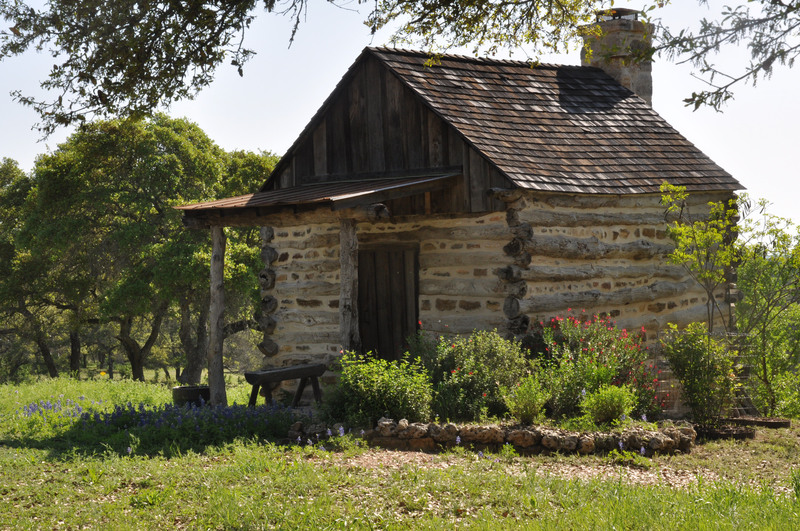 After building the quilt haus, Jack and Kay decided to move the original log cabin to their property and restore it. A tornado in the Stonewall had taken its toll on the small log cabin but they were able to rebuild it to what it looked like in 1873. The fireplace is the original fireplace. In addition to moving the log cabin, the old windmill on the property was also moved. Luckily in 2001 prior to the tornado, the Stonewall Heritage Society had already moved the larger dog-run house next to Burg's Corner where it is now used for society meetings. The log cabin is a source of pride to the descendants of Heinrich and Johanna. Their perseverance in face of all the trials and tribulations they must surely have faced is inspiring. The quilt retreat facility is named Emilie's Quilt Haus in honor of Kay's grandmother, Emilie.